Crafting the perfect movie trailer is hard work. There must be enough intrigue to get the audience excited without revealing too much about the film’s plot points and key moments (even then, things don’t always work out perfectly). Because of the sheer volume of new movie trailers being released in a given week, we’ve taken the liberty of rounding them up and separating the good from the bad for you. Check out the latest must-see trailers below, whether you’re looking for action, horror, comedy, or something else. It probably goes without saying, but we’ll say it anyway: Spoiler alert! Tread carefully, friends. Note: All release dates are for the United States. First-time filmmaker Lukas Dhont premiered this film at the Cannes Film Festival and took home the coveted Camera d’Or for Best First Film. The feature follows a 15-year-old transgender teenager who finds her dream of becoming a professional ballerina a tough one to follow for someone born in the body of a boy. Victor Polster stars in the film as Lara, and his performance — along with that of the supporting cast — has earned rave reviews during festival season. The first trailer for Oscar-winning Moonlight director and co-writer Barry Jenkins’ follow-up film, If Beale Street Could Talk, was released on the birthday of novelist James Baldwin, who authored the source material for the film. The adaptation of Baldwin’s 1974 novel follows a woman in Harlem who is desperately attempting to prove her fiancé innocent of a crime he didn’t commit in order to free him before the birth of their child. Kiki Layne and Selma actor Stephan James star in the film, which features an impressive ensemble cast and is likely to earn some awards buzz this year. At a time when science is seemingly under assault, the trailer for filmmaker Laura Nix’s documentary Inventing Tomorrow feels like a breath of fresh air in an increasingly smoggy world. The film follows a group of students from different countries whose work in their home countries earns them an invitation to the prestigious Intel International Science and Engineering Fair (ISEF) in the U.S. The students’ lives at home and experiences that led them to the largest gathering of high-school scientists in the world are chronicled in the feature, which made its debut at the Sundance Film Festival. Fun fact: The Puppet Master franchise has encompassed 12 films prior to this one, churning out one campy, micro-budget sequel after another without much fanfare for almost 30 years now. The franchise and its ever-expanding stable of sentient, killer puppets have built up a surprisingly robust continuity across the first dozen films, but that all gets rebooted in The Littlest Reich. The film kicks off a new era of killer-puppet horror in appropriately campy, blood-spattered fashion with a script penned by Bone Tomahawk and Brawl in Cell Block 99 director S. Craig Zahler, and a trailer that’s preceded by a lengthy warning for squeamish viewers. Fans of gory, so-bad-it’s-good horror, this one’s for you. 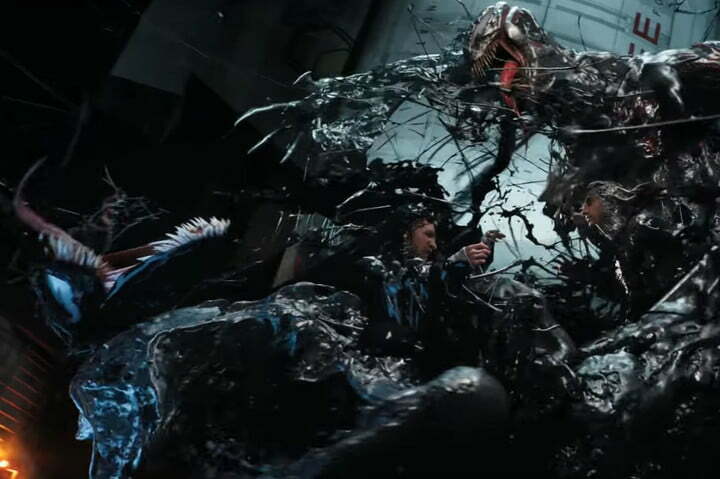 After releasing a lackluster first teaser, Sony Pictures has raised their game significantly with two subsequent trailers for Venom that lean into the film’s wild, effects-driven, symbiotic alien action. The latest trailer is the best so far, and it not only showcases the creepy visual effects that will bring Marvel Comics’ “lethal protector” to life, but it also leans into the character’s antihero status. Comics fans know that Venom is supposed to scare people, and the new trailer does a nice job of making that clear to anyone who thought this was going to be the typical comic-book superhero fare. Published on Sun, 07 Apr 2019 15:00:49 GMT, © All rights reserved by the publisher.